I was going through my morning routine of coffee and Chromium repository surfing when I stumbled across a new board overlay that was added just a few days ago. At first glance, the new Chromebook, code-named ‘Rammus’, appeared to be yet-another Kaby Lake device to add to the ever-growing list. For the most part, that description is correct but as I dug a little deeper, I found some interesting facts about this newly discovered Chromebook. 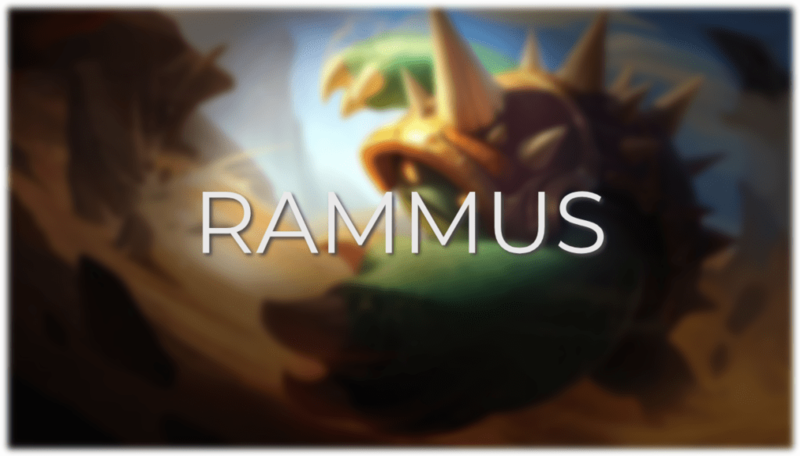 First, the baseboard for this upcoming device is also named ‘Rammus’. Now, that’s not completely unheard of but, if you look at the history of Chromebook baseboards and device overlays, the rare occasion a Chromebook has the same code-name as its baseboard is when it is made by Google(with just a couple of exceptions). For example, the Pixelbook uses the ‘Eve’ overlay but is also code-named ‘Eve’. Now, normally I would be totally on board with suspecting that Google is the OEM behind this device. However, I do not and here’s why. The Chromium developers have adopted a new “unibuild” naming structure for Chromebooks that group devices that share the same baseboard together in the detailed build information of the respective devices. If you have an Apollo Lake Chromebook, you can see these nomenclatures by heading to Settings>About Chrome OS>Detailed build information. You will see the name of your device, the baseboard and every other Chromebook built on that same platform. The Acer overlay is ‘Sion’ built on the ‘Fizz’ unibuild platform. It’s not really anything new, just different naming method developers are using. This is likely a way to better organize the like devices or possibly to make my job more difficult. I’m not sure, yet. It is plausible that ‘Rammus’ may be the unified build for any number of new devices. The only part of all this that leaves me scratching my head is “why a new baseboard in the first place?” We already have Kaby Lake Y devices on the market in the HP Chromebook x2 and Samsung Plus v2. Why not just used the same ‘Poppy’ board from those devices? Unfortunately, I don’t have an answer for that, yet. No worries, I’ll figure it out, eventually. Then, I noticed another interesting tidbit that leads me to believe that ‘Rammus’ could very well be the next flagship Chromebook from ASUS. As with many devices in development, we look for common threads that can tie them to current Chromebooks on the market in the hopes of pinning down the manufacturer before any official announcements are made. Sometimes we luck out. As with the ASUS C101 and the Samsung twins, email accounts from the companies were attached directly to commits surrounding the devices. That, sadly for us, is the exception. Generally, emails are limited to @chromium, @google or one of the partner corps that work with OEMs to design Chromebooks. In those cases, we have to dig deeper and often times are just left guessing. ‘Rammus’ hasn’t offered a smoking gun per se but one name in particular attached to the device gives me the strong inclination we’re looking at ASUS. Developer Agnes Cheng has been committing to the Chromium repositories for nearly six years and in the early days had hands on devices like the Toshiba Chromebook 1 and OG Dell Chromebook 11. Cheng has an @google email address so no surprise to see them working on a variety of devices but as of late, Agnes Cheng’s work has been delegated to what appears to be exclusively ASUS devices. Starting in 2015 with ‘Minnie’, the ASUS Flip C100, Cheng has worked directly and solely on devices such as the ASUS C200, C202/C300, the Chromebit and very recently the Flip C302 and the latest Chromebox offering from ASUS. Again, this isn’t irrefutable evidence but it is very telling. If I had to place a bet, I’d put my money on the fact that ASUS is directly developing ‘Rammus’. Moving on to what few details we have about ‘Rammus’, the board is being built on the Kaby Lake chipset. Whether it will by the Y-series or the U-series is still unknown. What we do know is that ‘Rammus’ could offer up some features very similar to the upcoming Acer Chromebook Spin 13. Looking at the make.defaults file, the Chromebook has support for tablet mode, a backlit keyboard as well as an internal stylus. Apart from the Acer Spin 13, no other device offers this exact configuration in the realm of the Kaby Lake processor. That makes this Chromebook a potential competitor for the Acer as well as any upcoming device Google may have up their sleeves. We’ll be keeping a close on ‘Rammus’ to get more detail on the device and possibly confirm that ASUS is making it. The timing is perfect if it is ASUS. It has been just over a year and a half since the launch of the Skylake-powered C302 and development of a new flagship now would put the OEM right in line with another CES release come January. Stay tuned for more. Fun Fact: Rammus the Armadillo is another Champion from the game League of Legends.